This book is the definitive resource on all aspects of homeland security, including incident management, threat assessment, planning for and response to terrorism and other forms of violence, the federal response plan, and weapons of mass effect. 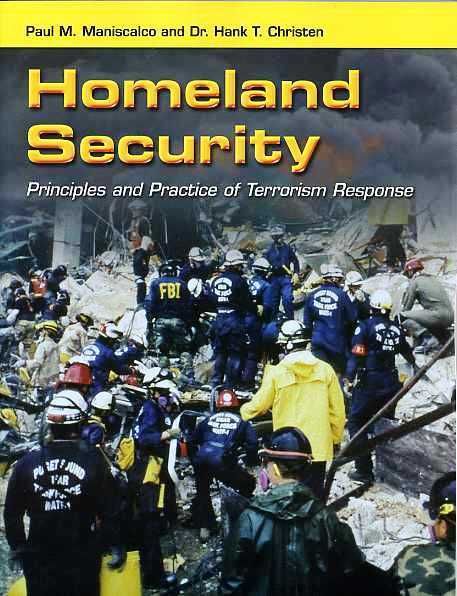 Ideal as a textbook for homeland security courses or as a training text for first responders and government officials, Homeland Security: Principles and Practices of Terrorism Response explains key concepts of national security and applies them to real-world operations. Contents: Chapter 1 Terrorism History and Challenges; Chapter 2 The National Incident Management System (NIMS); Chapter 3 National Response Framework; Chapter 4 Critical Infrastructure; Chapter 5 Planning for Terrorism; Chapter 6 Terrorism Response Procedures; Chapter 7 Operations Security and Information Security; Chapter 8 Weapons of Mass Effect: Chemical Terrorism and Warfare Agents; Chapter 9 Weapons of Mass Effect: Biological Terrorism; Chapter 10 Weapons of Mass Effect: Radiation; Chapter 11 Weapons of Mass Effect: Explosives; Chapter 12 Mass Casualty Decontamination; Chapter 13 Personal Protective Equipment; Chapter 14 Crime Scene Operations.